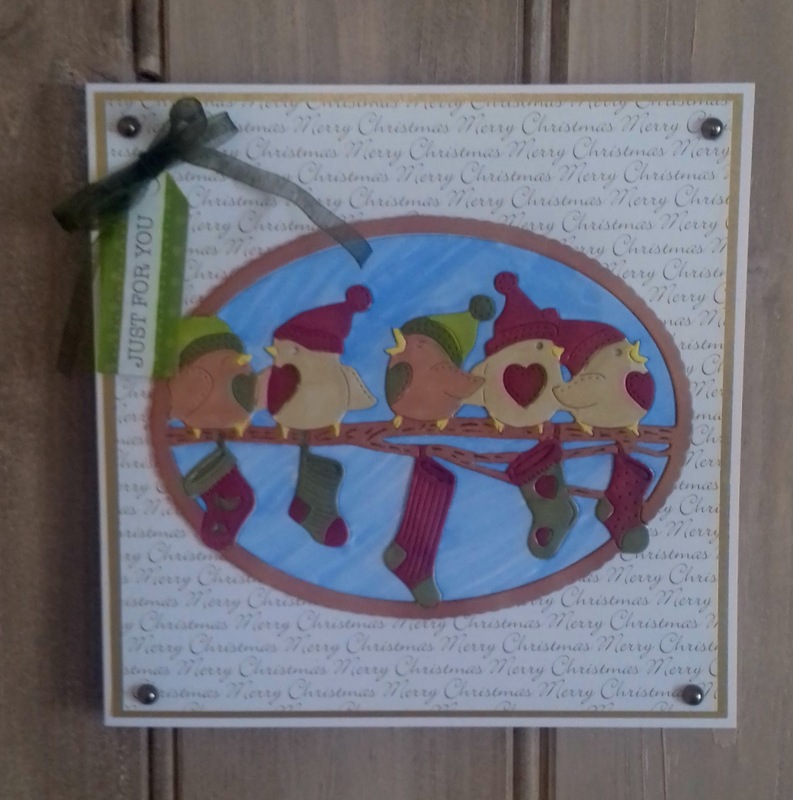 I had 3 of the new dies to work with, so why don't we take a look at what I made. 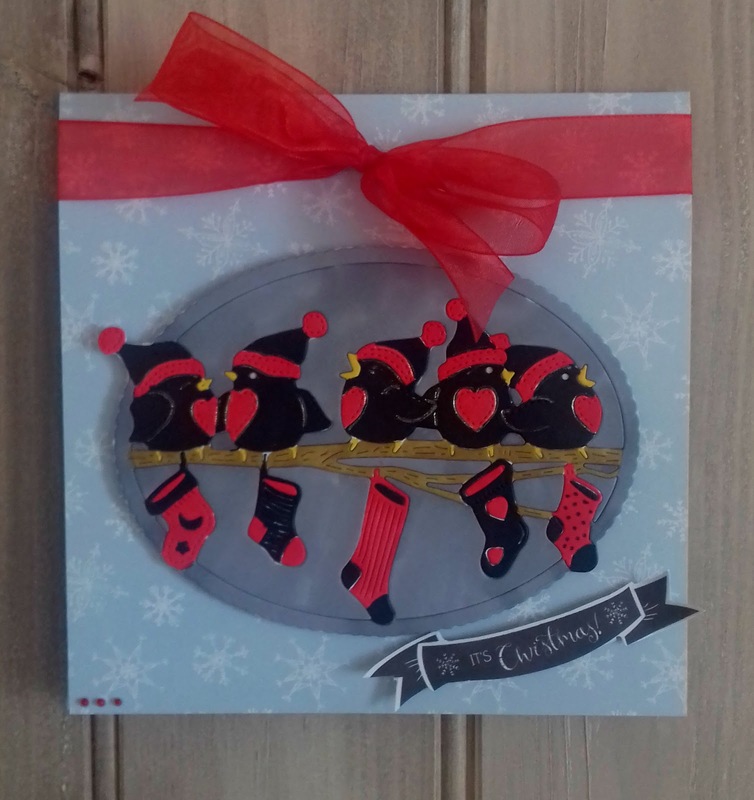 How adorable are these Robins, I love the way their little beaks are open as if they are singing a Christmas carol. 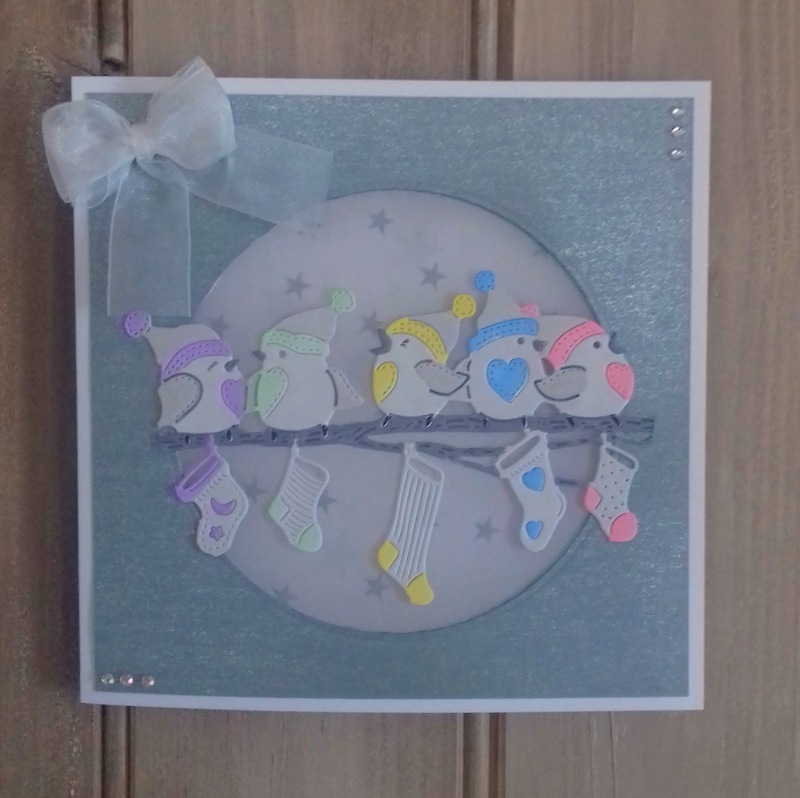 I decided to try a pastel and more frosty look for this card, Each Robin has a stocking matching the patch on it tummy. 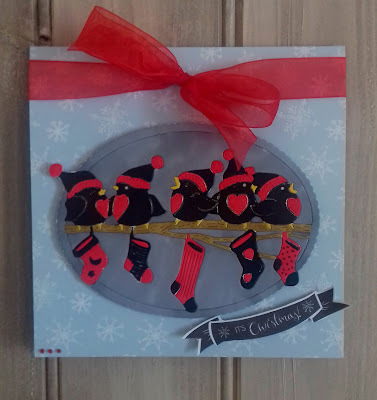 This card has less of a traditional feel as I coloured the Robins black and red, they look a little folky. 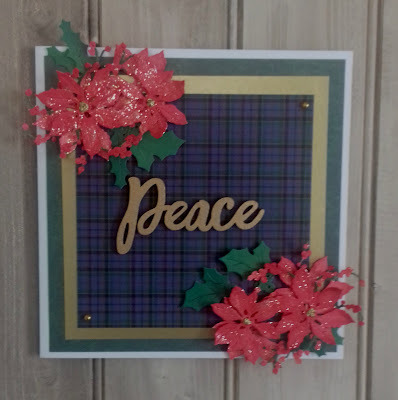 I used the holly and flora to create this lovely card, The tartan paper, Gold sentiment and glittered petals give a luxurious feel. I cut 4 sets of the flora and layered them into the corners to give more dimension to the card. I stitched the centres of the flowers with gold metallic thread to add a little extra sparkle. I had a large Bauble chipboard in my stash which I covered with Tartan paper, I added a gold MDF sentiment and used the flora and holly dies to embellish. 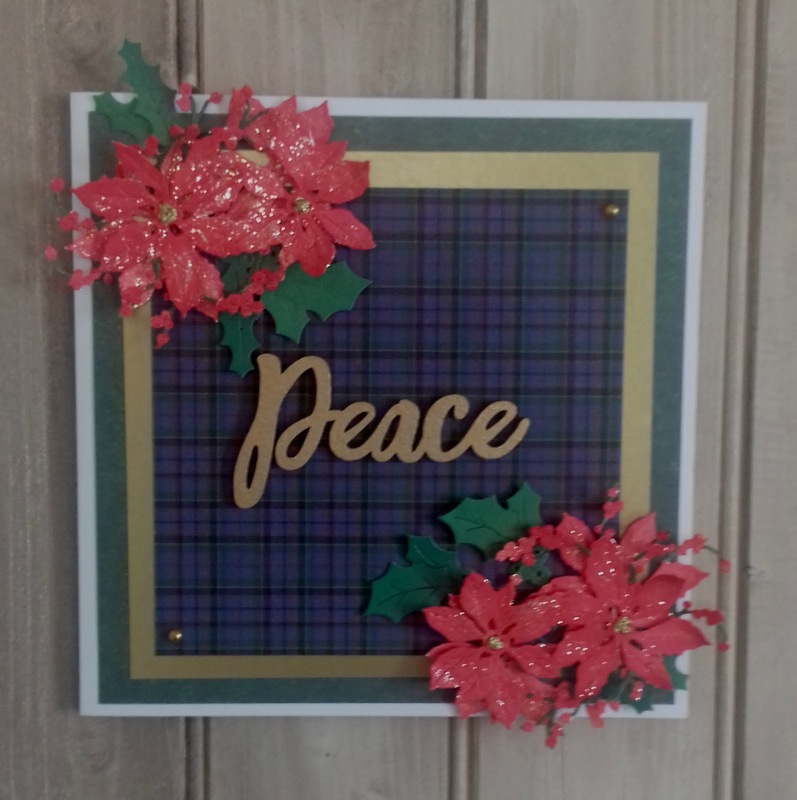 This time I added stamens into the centre of the flowers and coloured the Holly berries gold. 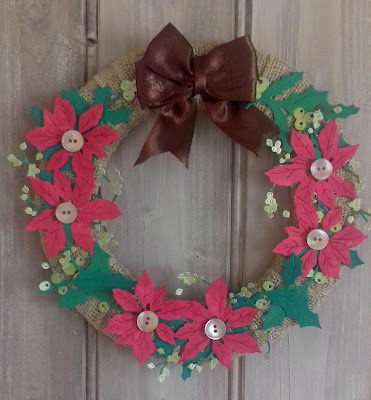 I cut some foam board into a wreath shape using a craft knife and wrapped it in burlap to create my foundation which I then added flowers and holly to. All of the berries were coloured gold and I added buttons to the flower centres for a hand made look. 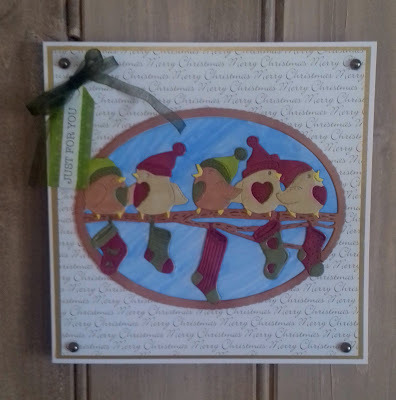 Lastly I placed a brown satin ribbon at the top of the wreath to finish it off. The 3 projects above all used the Flora-die and the Holly-dies. 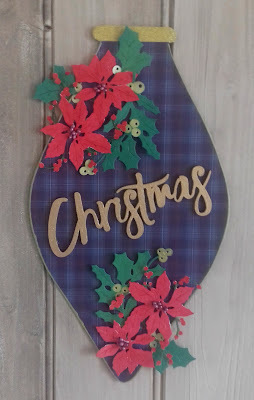 I had so much fun making these projects even thought it's still June.